I think roasting broccoli is the absolute best way to enjoy it. 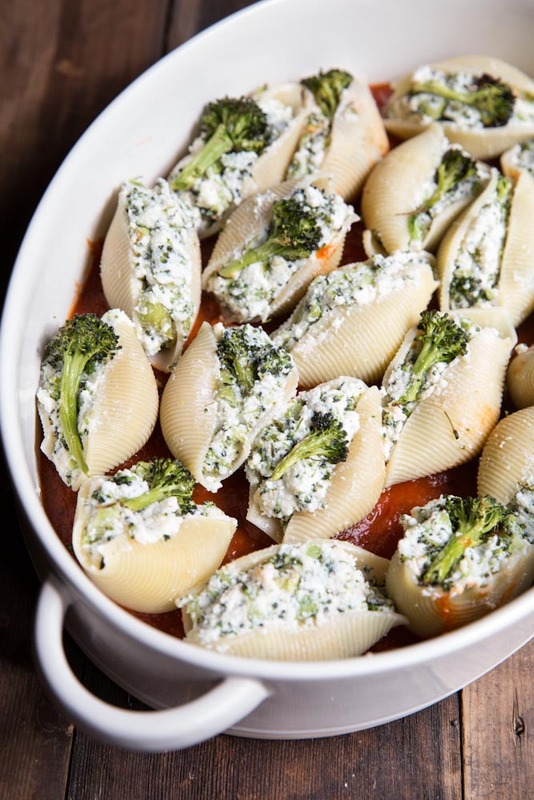 It was hard not to sneak bites straight from the pan before mixing them with the cheese for this Roasted Broccoli Stuffed Shells Recipe! Lately I’ve also been charring broccoli in a dry cast iron skillet, like in this recipe, which is also great if you like that charred crispy bite. Roasted or charred broccoli can be added to just about anything, grilled cheese, pasta, rice bowls, or even eggs. As for the Stuffed Shells, they hold a special place in my heart. This time of year, two years ago, a dear friend brought us (parenting newbies) a big pan of stuffed shells. They were absolutely one of the most comforting meals we enjoyed during that season. 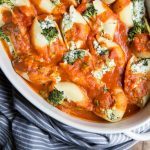 I had never made stuffed shells before and they just seemed to hit the spot as we held our little bundle and ate together on that cool spring night years ago. 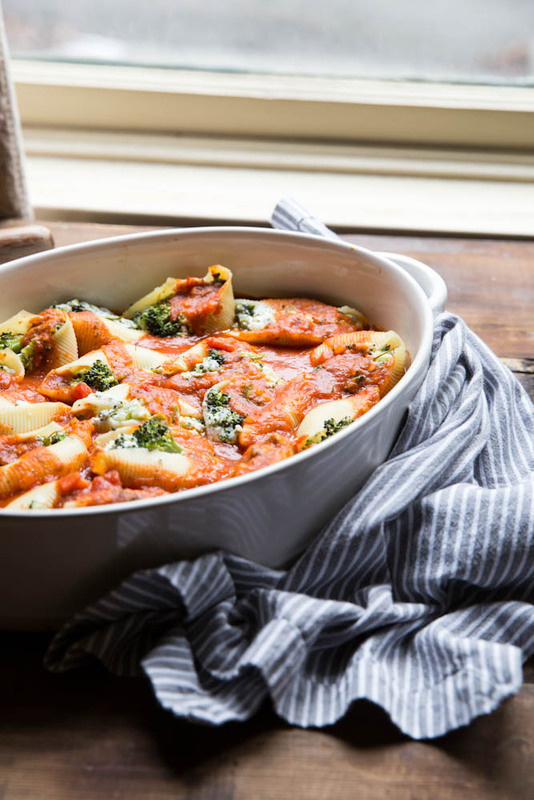 My friend’s stuffed shells were the classic style which is perfect without any change. 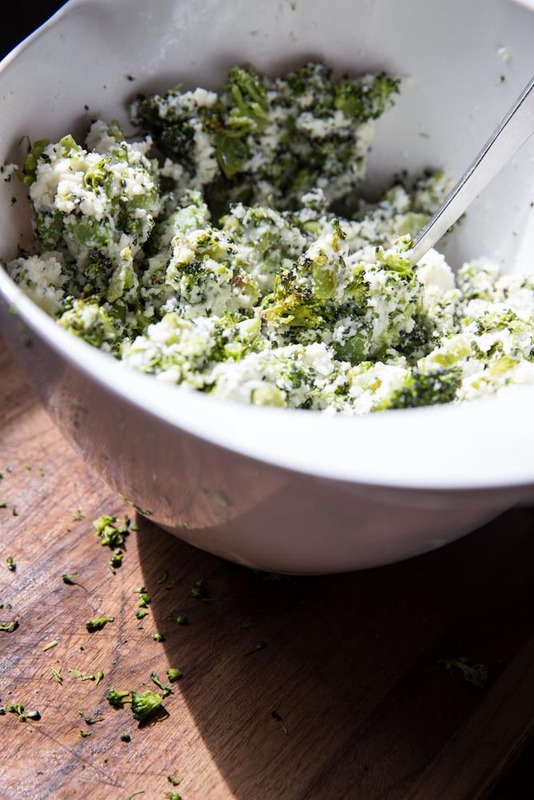 Of course I love to put a little seasonal spin on things so for this recipe, I added plenty of crispy toasted broccoli to a mixture of three cheeses and a few seasonings. Broccoli is almost out of season (though its available all year, it’s not always at its best!) so get this recipe in while broccoli is still at its tastiest. 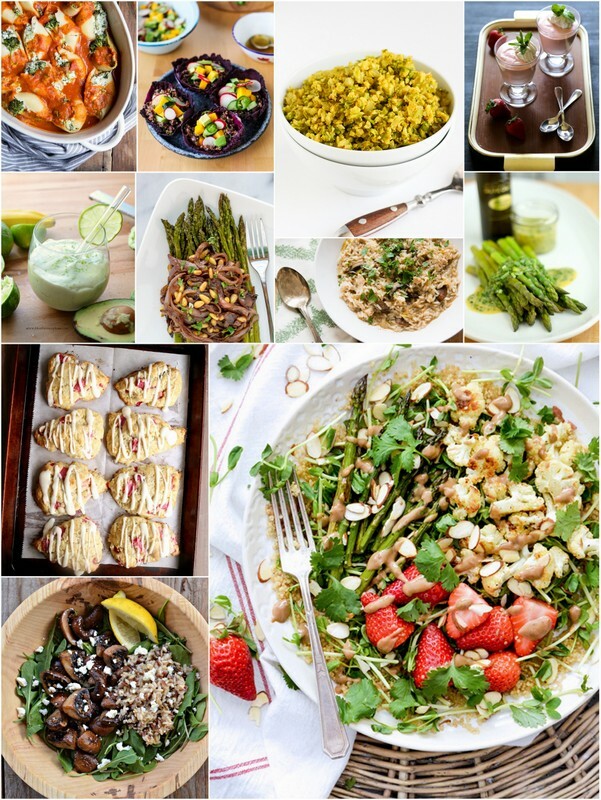 And if you’re looking for more early spring recipe ideas, we have plenty. 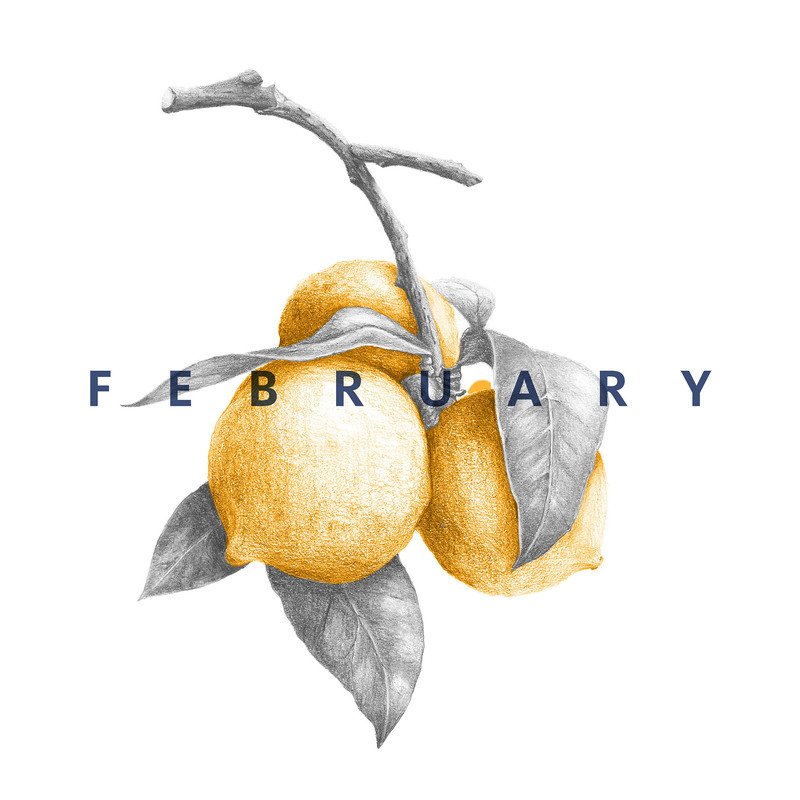 See below for all of the #EatSeasonal recipes for this month. For the full list of seasonal produce, check out my seasonal produce guide or the seasonal recipe guide from Cookie and Kate. Add roasted broccoli to a simple stuffed shell recipe for an easy, seasonal spin on an Italian-style meal. preheat the oven to 375 and line a rimmed baking sheet with foil. Chops the broccoli into bite sized pieces and toss with olive oil and minced garlic. Season with salt and lay flat on the baking sheet. Bake for 25-30 minutes or until slightly brown and crispy. Bring a large pot of salted water to a boil. Add in the pasta shells (a few more than 24 incase a few break while cooking). Boil for 8-10 minutes or until slightly soft but with a slight bite. (They will cook more when they are baking). While the pasta is cooking, mix together the three cheeses and the salt and cayenne. Once broccoli is done, roughly chop and add this to the cheese. Pour 1 cup of the marinara into a rectangular baking dish. Once pasta is done, drain the water, reserving 1/2 cup of the pasta water. Fill each shell with cheese and place in the baking dish. Mix together 1 more cup of the marinara with the 1/2 cup of pasta water and pour this over the top of the filled shells. Cover with foil and bake for 20 minutes at 350 covered, then, uncover and bake for 5-10 more minutes or until bubbly. Serve with remaining 1 cup of marinara sauce. By the time I serve roasted broccoli, I’ve eaten half of it off the pan. Love the idea of turning into a creamy, comforting pasta! What is it that makes roasted vegetables so tempting to eat straight off of the pan?! Roasted broccoli always disappears quickly around here. What a great idea to tuck it into shells for a comforting dinner! Hooray for in-season veggies!!! It’s seriously the only way to do it! 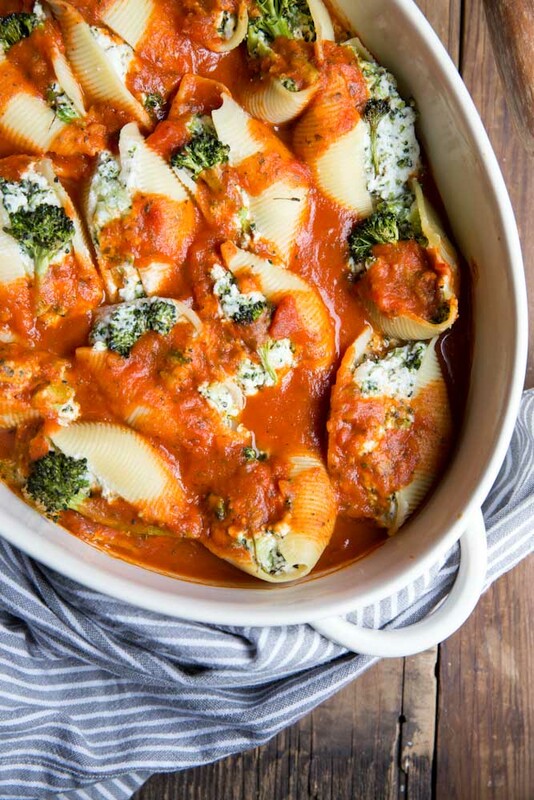 love your roasted broccoli stuffed shells recipe . . gorgeous! Thanks Alice! This recipe is very borderline Winter/Spring but sometimes those are the best 🙂 A little comfort with a lot of green! 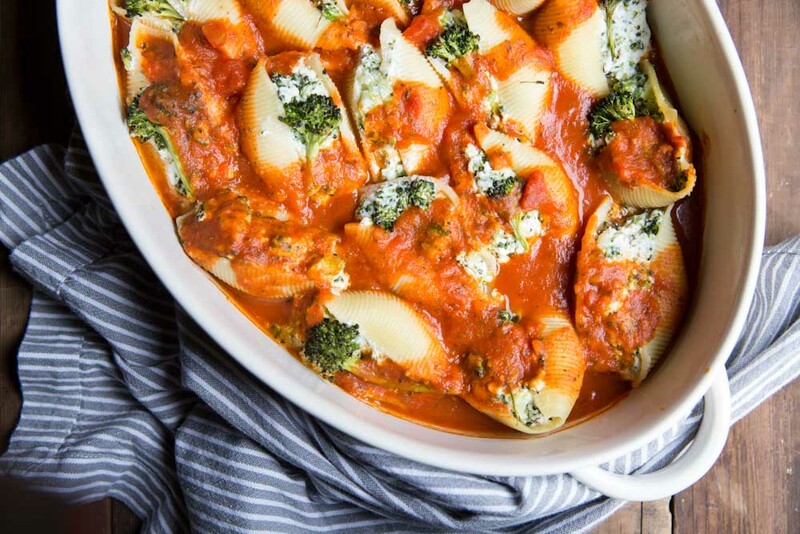 I adore roasted broccoli, but putting it in stuffed shells take it over the top! Definitely trying this soon! Lisa, It’s just the simple things that can make ordinary recipes be so great!! Roasted broccoli is my favorite…I always eat so much right from the pan but hey, there are worse things 😉 I love this new twist! I’m with you Bri!! And if you love roasted broccoli then you’ll really enjoy the flavors here! Love that your bf would like this for the broccoli and not the cheese. He’s a keeper!! 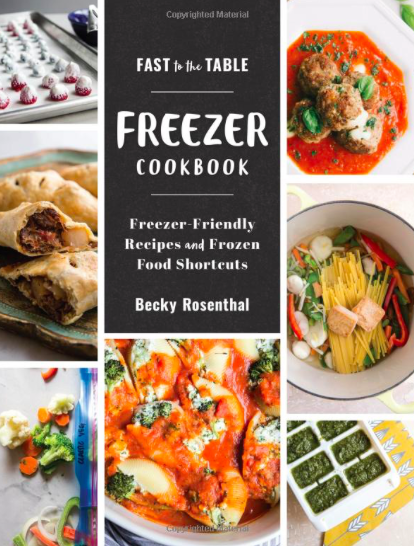 Love this simple vegetarian dinner, Becky! 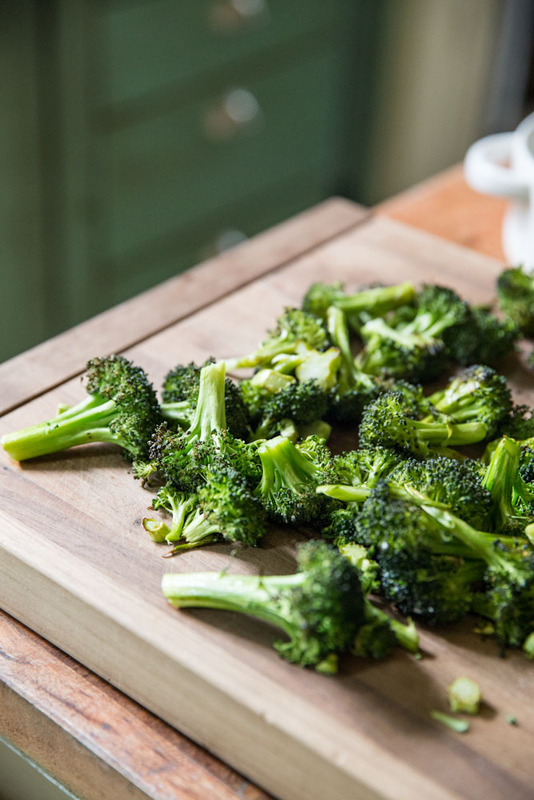 I’m with you: fresh, in-season broccoli can’t be beat! Thanks Kelley! I think these would be good with so many different seasonal veggies mixed in but broccoli is an easy winner! 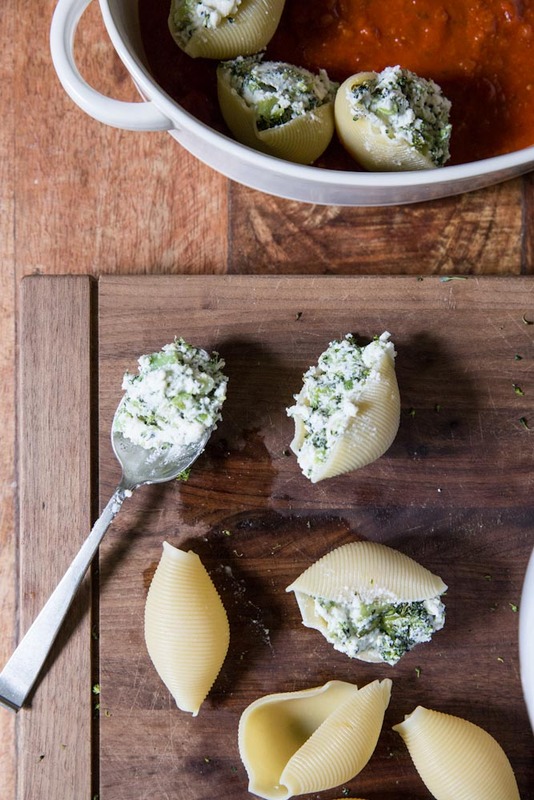 Stuffed shells is a classic, I love this idea. Thanks for posting, I shared this on my May real food meal plan. Awesome! Thanks so much Melissa! Made this last night and really enjoyed it. I roasted the garlic cloves whole with the broccoli and added in some roasted red pepper and chopped spinach, then pulsed the filling smooth in the food processor. It was great! Thanks for sharing. Avery, so glad you enjoyed it! And thanks for the tip on roasted red pepper and spinach.. that sounds lovely and I’ll definitely have to try it out!